Is there a distinctive Chinese model for law and economic development? In The Beijing Consensus scholars turn their collective attention to answer this basic but seemingly under-explored question as China rises higher in its global standing. Advancing debates on alternative development programs, with a particular focus on social and political contexts, this book demonstrates that essentially, no model exists. Engaging in comparative studies, the contributors create a new set of benchmarks to evaluate the conventional wisdom that the Beijing Consensus challenges and that of the Beijing Consensus itself. Has China demonstrated that the best model is in fact no model at all? 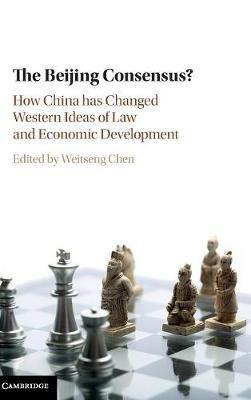 Overall, this title equips the reader with an understanding of the conclusions derived from China's experience in its legal and economic development in recent decades.